Youthful. Drinking pretty well now, but will be better in 3-5 years, to allow the slightly ‘hard’ acidity to mellow and integrate, whilst complexity developed. Mid-gold colour. Fairly intense nose of buttered toast, with ripe pears and a touch of cream. Quite primary. Ripe pear flavour again, with some chalky minerality, but quite hard acidity at the medium-long finish – despite the obvious malo-lactic. 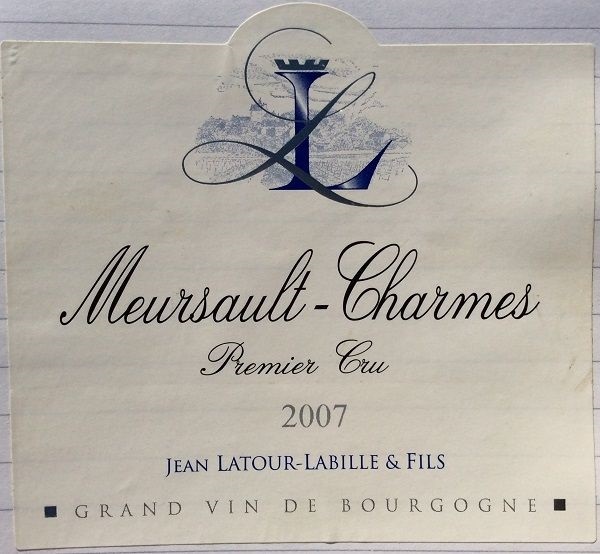 Will need time to come to perfection, but a worthy Meursault 1er Cru. 544. Grover Vineyards, Sauvignon Blanc India, 20? ?